Taking care of your heart is deliciously simple! Eat your way to a healthier heart with our list of heart smart nutrients and the fantastic foods that they can be found in. CoQ10: Coenzyme Q10 is a potent heart helper found naturally in almost every cell of your body and both aging and statin drugs cause coQ10 levels to drop. Preliminary research has found this powerful antioxidant helpful for preventing repeat heart attacks and heart disease as well as heart damage from chemo drugs and surgery. It may also help lower high cholesterol and blood pressure and support healing in heart failure when combined with other herbs and supplements. [i] The richest food sources of coQ10 are meat, poultry and fish. Omega 3s: Omega-3 fatty acids help to reduce chronic inflammation throughout the body, which is beneficial because inflammation contributes to blood vessel damage. Left unchecked, this damage and accumulated plaques can lead to heart disease. [v] Omega-3s also help support cardiovascular health via their impact on blood clotting, triglyceride levels, and arterial plaque growth. [vi] Omega-3s can be found in ground flax or hemp seeds, walnuts, soy and leafy green veggies; however, the best source is cold-water fish such as salmon, mackerel and tuna. Just be sure to avoid factory farmed fish (which may be contaminated with antibiotics and other harmful substances) and to saute, poach or bake your fish for the healthiest results. B-vitamins: Studies have found that a combination of vitamins B6, B12 and folic acid helps to reduce homocysteine levels in the blood, although the ultimate impact on heart health is unknown. Preliminary research has found that high homocysteine levels may increase the risk for heart disease, atherosclerosis and peripheral artery disease. [viii] We don’t advise taking these B vitamins as a supplement individually because B vitamins work best when taken together in the context of whole foods. 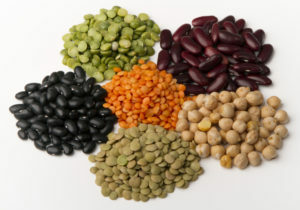 Instead, up your intake of vitamin-B rich foods such as brewer’s yeast, lentils, legumes, nuts, leafy green veggies, liver and meat. Green Tea: So technically it’s a beverage and not a nutrient…but the polyphenols found in green tea act as potent antioxidants that promote heart health. Population studies have found that green tea helps reduce unhealthy LDL cholesterol and triglyceride levels and raise healthy HDL cholesterol levels, and it also reduces the risk for atherosclerosis. 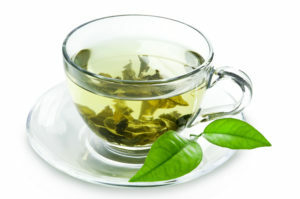 [ix] For optimum benefits choose organic green tea and drink it freshly brewed.